If you are seeking a path to vibrant health, look to a healthy, vigorous, hardworking immune system. When cold and flu season is in full swing, strategically supporting the immune response may help to prevent illness and promote healing. Throughout life, we encounter harmful microbes, and unfortunately, sickness and infections are inevitable. When our immune cells combat and destroy viruses and bacteria, it also builds antibodies against those specific pathogens, strengthening immunity for the long haul. As influenza is a highly contagious airborne virus, even those with a strong immune system may contract the flu. However, those with the most robust immune systems may recover faster and experience less complications. The youngest among us, who have not had time to build immunity, and seniors, whose immune functions weaken with age, are not only more susceptible to winter colds, influenza and strep throat, but are more vulnerable to a wide range of complications as well. Complications can range from moderate conditions, such as sinus and ear infections, to the more severe life threatening complications of pneumonia and organ inflammation. Those with chronic conditions, such as asthma, as well as heart and lung diseases, are most at risk of experiencing a worsening of their health conditions triggered by the flu. Per the National Institutes of Health, a compromised immune system simply cannot perform as well as a fully functioning one. It appears to be in everyone’s best interest to take positive steps to avoid winter maladies by initiating strategies to support the immune system throughout the immunity building phase and when naturally declining as part of the aging process. Unhealthy lifestyle habits, including smoking and excessive alcohol consumption, can decrease the immune system’s ability to fight off illnesses. 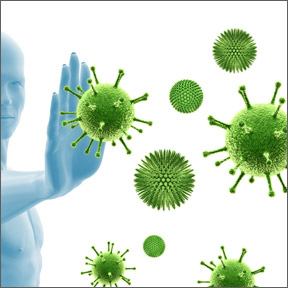 Good general health habits help keep the immune defenses strong and alert. Sleep on it – There are times when many of us are guilty of skimping on sleep. Prioritizing sleep strengthens the immune response, while chronic sleep deprivation elevates inflammation- promoting chemicals, weakening and suppressing immune health. Regular sufficient sleep, which means seven to eight hours nightly, will support overall good health and help to keep the immune system in top fighting form. Feed it – Feed your body a variety of nutrient-rich foods for long term healthy function. Include live cultured foods like a low-sugar organic yogurt or kimchi, traditional Korean fermented vegetables. Multi-strain probiotic supplements help to enhance beneficial intestinal microorganisms, which aids intestinal homeostasis, helps to keep inflammation in check and supports proper immune and gastrointestinal functions. Work it – Exercise boosts the immune system by strengthening its ability to create antibodies and the white blood cells that fight off deleterious pathogenic invaders. Prioritizing 20-30 minutes each day for physical activity will help boost immune performance, as well as reduce tension and relieve stress. Chill out – Long term stress taxes both the adrenals and the immune system, raising the risk for poor overall health and suppressed immune reaction. By directly affecting the immune response chronically stressed, but otherwise healthy people, are more vulnerable to infectious and autoimmune diseases. Chronic stress acts as a trigger for anxiety and depression, and can bring about poor quality sleep, high blood pressure, heart disease and digestive issues. Get happy – Chronic depression appears to increase proinflammatory cytokine activity and inflammation, negatively affecting immune health. Per the NIH, there is strong evidence that depression alters multiple aspects of immunity that may contribute to the development of several disorders and diseases. Consider medicinal foods – Medicinal plants such as ginseng, astragalus, and garlic provide immune enhancing phytochemicals. As well, medicinal mushrooms, including shiitake, reishi and maitake, have antimicrobial properties that help support a balanced immune environment. 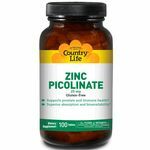 Address micronutrient deficiencies – Studies have linked deficiencies in zinc, selenium, folic acid and vitamins A, B6, C, D, and E to reduced immune function. -Sufficient vitamin D plays several roles in supporting proper immune function, while a deficiency contributes to infection susceptibility. 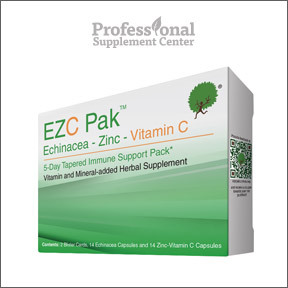 -Zinc is essential for the proper development, maintenance and function of the immune system. 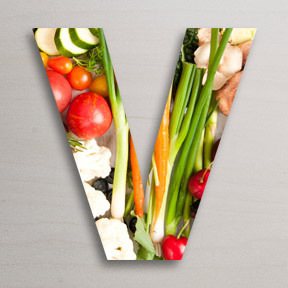 -Vitamin A helps regulate and support healthy development of immune cells. -Vitamin C plays a variety of roles in immune function, including enhanced function of white blood cells and increased antibody levels. -In addition to energy production, B vitamins support serotonin and neurotransmitter production, helping to reduce stress and improve mood. UltraNutrient® by Pure Encapsulations – This comprehensive, high potency, bioavailable formula includes core vitamins and minerals, advanced antioxidants, and standardized phytonutrient extracts providing exceptional broad spectrum nutrients for enhanced cardiovascular, liver and overall health support. Gluten and soy free, Non-GMO vegetarian formulation. Astragalus Max-V 500 mg by Douglas Laboratories – Used since ancient times in Traditional Chinese medicine, Astragalus is widely known for its immune-stimulating properties. One capsule provides 500 mg of standardized astragalus in support of the immune, cardiovascular, renal and hepatic systems. Gluten, soy and dairy free, Non-GMO formulation. SR-Stamina™ by Iagen Naturals – This pharmaceutical grade blend of adaptogenic herbs and traditional botanicals provides ingredients known to increase stamina, enhance physical performance, and promote a healthy immune response, as well as decrease stress, anxiety and sore muscles. L-Phenylalanine by Metabolic Maintenance – This product provides support for the normal production of mood-elevating neurotransmitters and addresses physical discomforts by blocking a nervous system enzyme that amplifies pain signals. Excipient free, preservative free, vegan formulation. Mushroom Immune Defense™ by Source Naturals – ON SALE This broad spectrum, high potency blend provides mycelia and extracts from 16 well-studied species of health supporting mushrooms in support of immune health. Vegetarian formulation.